Pregnancy is hard and often exhausting, but it is also a time of excitement and joy. You will look back on this time fondly and love to show your baby images of them “in your tummy” as they grow. Maternity portraits are about celebrating the life inside of you and remembering the happiness of this time! I offer maternity sessions all over the Denver and Boulder metro area as well as many mountain locations in the area. Maternity sessions are always outdoors and I offer them all year round. I know the most gorgeous locations for every season and love to create something stunning for you! During your pre-consultation, usually one via phone or email, we will discuss the types of images you would like to capture, the best clothing for your family and choose the perfect location for the session. Borrow a beautiful gown from my collection and I will help you choose clothing for the rest of the family to match. 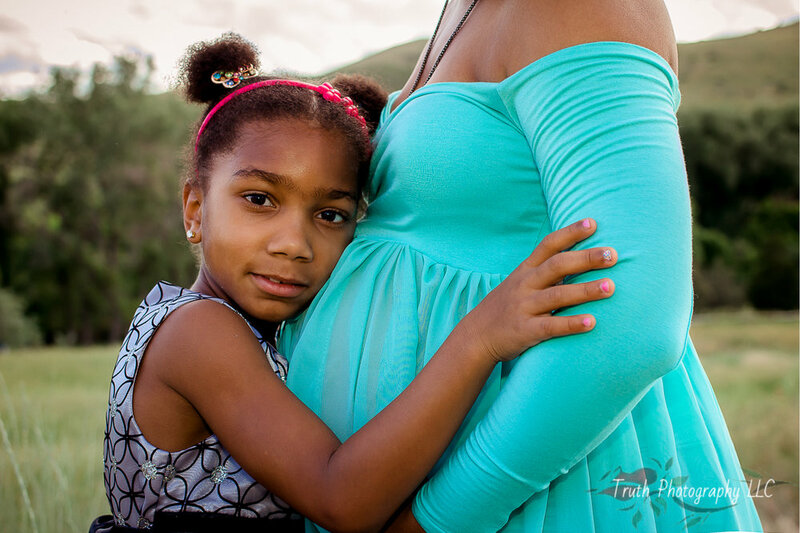 Maternity sessions can be for mom alone, mom and dad, or include kids, grandparents or other important family members. Sessions are typically around an hour however the time varies based on the number and age of participants. Special offer for June and July due dates! I am currently offering a maternity sale to grow my gown collection! If you have a summer due date and always wanted a session in a gorgeous gown this is for you! Session includes a 1 hour outdoor maternity session with mom and any family members she would like to include, edited digital images from your session (average around 30 per session) PLUS 50% off wall art and gifts! Choose from a selection of gorgeous maternity gowns from my wish list in a selection of styles, colors or prints! The dress will then be custom ordered in your size.